Our Onsite training programs can be delivered to businesses throughout much of California, Arizona and Nevada. Program can also be delivered to organizations throughout the country, however; travel, transportion, lodging and food expenses are additional. We proudly serve San Diego and Imperial Counties, Riverside, Orange, Los Angeles and many other communities throughout the State of California. Our classroom based training is conducted in our Southern California training facility located in Temecula, CA. We serve San Diego, Escondido, San Marcos, Carlsbad, Vista, Fallbrook, Encinitas, La Jolla, Rancho Bernardo, Murrietta, Hemet, Lake Elsinore, Perris, Moreno Valley, Ontario, Riverside and many other cities within Southern California. Askthesafetyman provides OSHA compliant safety training online, onsite and in classroom settings in our Temecula, California training facility. We are a State of California certified small / veteran owned business providing training to businesses and consumers. Our instructors can provide forklift, swing reach truck, stand-up forklift, order picker, walkie-rider and many other forms of material handling equipment training. 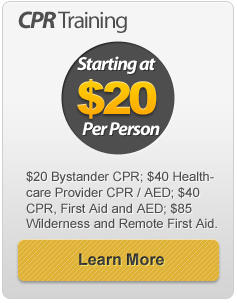 Askthesafetyman.com's CPR certification programs follow national guidelines set by the American Red Cross the International Liaison Committee on Resuscitation (ILCOR). Askthesafetyman.com is not associated, affiliated, sponsored, or endorsed by, the Heart & Stroke Foundation, the American Red Cross (ARC), the International Liaison Committee on Resuscitation (ILCOR) or OSHA and unless otherwise specified no affiliation or endorsement is implied. All logos and trademarks are the sole property of their respective owners. We provide a full range of OSHA General Industry training, including, but not limited to forklift / lift truck training, electrical safety, CPR / First Aid & AED training, Bloodbourne Pathogens training, fall protection, lock-out / tag-out training, scissor lift training, Hazard Communication (HAZCOMM), walking and working surfaces, NFPA 70E, NEC, Personal Protective Equipment PPE, Hazardous Materials, Machinery and Machine Guarding, Industrial Hygiene, Confined Spaces, Welding, Cutting and Brazing, Safety and Health Programs, Safety Orientations, Ionizing and Non-Ionizing Radiation, Hazards of Asbestos in the Workplace, Lead Safety, Use of Explosives in the Workplace, Introduction to OSHA, Industrial Hygiene, Ergonomics, Driver Safety Course for Cars, Vans and Small Trucks, OSHA 18001, ISO 14000, Facility Security, HAZWOPER 24 / 40 Hour Certifications, First Responder Awareness - HAZWOPER, 8 Hour HAZWOPER Refreher, DOT Hazmat General Awareness, Stormwater Management During Construction, Canada Safety training. 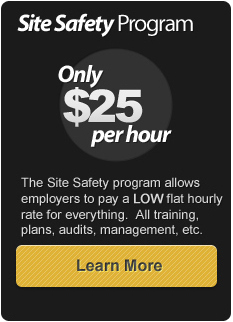 We also provide an extensive online Construction training program. Topics include 29 CFR 1926 Subpart R Steel Erection, Cal-OSHA Concrete and Masonry, Cal-OSHA Cranes and Rigging, Cal-OSHA Electrical Safety, Excavations, Cal-OSHA Fall Protection, Cal-OSHA Fire Protection, Cal-OSHA General Health and Safety, Cal-OSHA Hand and Power Tools, Cal-OSHA Introduction to OSHA, Cal-OSHA Scaffolding, Cal-OSHA Stairways and Ladders, Concrete and Masonry, Confined Spaces, Materials Handling, Hand and Power Tools, OSHA Focus Four, Occupational Health & Safety Controls, Process Safety Management and many Spanish language courses.